Obviously there’s no way “Cause And XS” was written and shot since Russian Doll premiered on Netflix a week and a half ago, but it’s still a striking coincidence that the plot of this episode revolves around its characters dying over and over no matter what Nora does to alter the events leading up to the crucial moment. Like Natasha Lyonne’s Nadia in that series, Nora keeps finding herself starting over at the same point in time and trying to find a way to alter the seemingly inevitable. The difference is that Nora is the one who keeps causing time to loop back on itself in her efforts to defeat Cicada. Once again, it’s an hour of The Flash largely devoid of the Flash. Cisco has completed his work on the meta cure, but it still has to cook for a while until it’s fully synthesized, which means they have to wait 29 days to use it on Cicada. (At this point, it’s pretty clear there’s not going to be any argument about this, not even a token “would you kill baby Hitler” sort of discussion.) 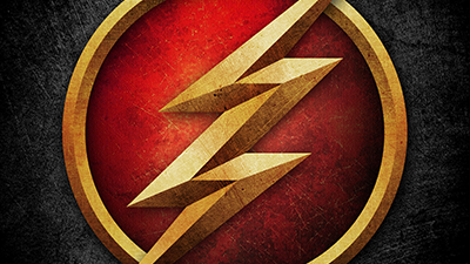 That is, unless Barry takes it into the Speed Force, which will act as a “pan-dimensional microwave” and prepare the solution in sixty minutes. Nora is awfully jittery about her father leaving our dimension for even that long, and though this feels like an overreaction, it turns out she’s right. 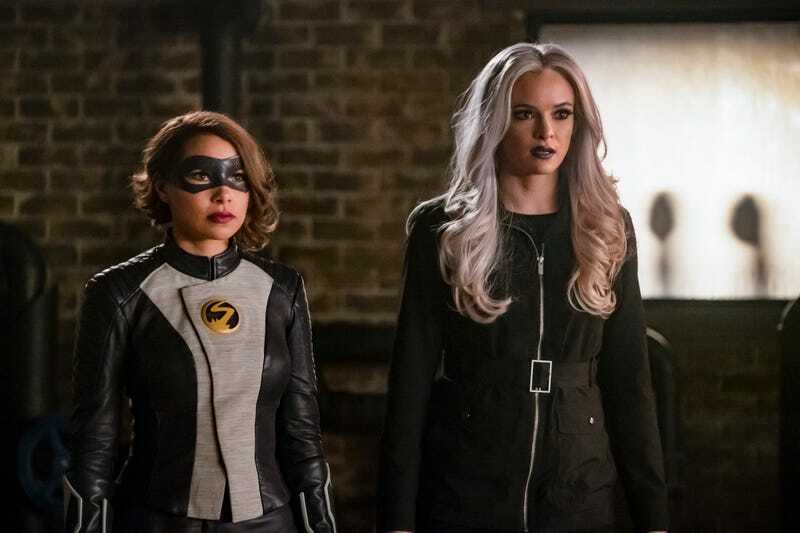 Cicada chooses this moment to confront Iris, which the team probably should have been a little more concerned about given that she basically told him she was with Team Flash last week. He brings her to a rooftop and uses her as bait to lure the team there, boomeranging his dagger into Frost and killing her. (Except she doesn’t get her powers from Dark Matter, so...? Whatever, I guess it just stabbed her enough to kill her anyway.) XS speeds away and runs back in time (there’s a very cool image of a balloon un-popping as she runs past) in order to prevent this from happening. Thus begins a series of time loops: 52 in all, although we only see a few of them play out. When Nora prevents Iris from leaving STAR Labs, it’s Ralph in his office across from the Central City Citizen who alerts Cicada’s dagger and ends up getting whacked with it. With Ralph also out of commission, it’s Sherloque showing up at the office to investigate, and with all the heroes accounted for, it’s Cecile who is brought to the roof as bait and ends up dead. On the lighter side, Cisco is forced to play out his first date with Kamilla over and over, unwisely taking advice from the Book of Ralph and trying to model his behavior on Kamilla’s exes. Although it’s obvious this is headed toward a basic “be yourself” message Cisco should have seen in large flashing neon letters as soon as Ralph presented his oppo research, it’s amusing to see Carlos Valdes cycle through Mogul Cisco, Gym Rat Cisco, and Influencer Cisco. His date works out in the end, but from the way he mutters about Kamilla’s photos being “maybe too good,” there’s probably another shoe yet to drop here. It’s just as easy to see the solution to Nora’s dilemma coming, especially if you’ve been watching this show...well, ever. Come clean, be honest with the rest of the team, and you’ll get by with a little help from your friends. This is the time loop The Flash has been caught in since the beginning, a lesson that can never be learned enough times because it will always be forgotten. Having said that, “Cause And XS” is a largely entertaining variation on that theme, even if it doesn’t come close to doing as much with the premise as Russian Doll does. The script has more genuine, self-aware wit than usual, and Cicada is used well for once. I’ll confess to not fully grasping the logistics of the final battle with him on the rooftop, but , uh...at least it looked cool? I guess the idea is that they slowed Nora down with ice and breaching, but maybe she could have just shown up on the roof a little sooner and whisked the intended victim away before Cicada threw his dagger? Barry returns in time to lecture Nora about how there are consequences to time travel, but come on. We’re way past that now. There’s been so much contradictory information about the effects of temporal tampering, it’s best just to accept the fact that the rules change depending on the needs of each individual story. By that measure, “Cause And XS” is one of the more enjoyable episodes of the season. Cisco notes that even if they have to wait 29 days to defeat Cicada with the meta cure, that still puts them ahead of their usual schedule, hanging a lampshade on the fact that they always seem to meet their Big Bads in September and defeat them in May. The show will be in repeats for the next couple of weeks, returning on March 5 with KING SHARK VS. GORILLA GRODD!!! !